It’s not entirely Mediterasian, but that wouldn’t be quite accurate to say that it wasn’t. Even less accurate would have been to deem it just another “Pepper Omelette.” Because it’s not. It is really quite more than that. It’s delicious. It’s spicy. It’s healthy. The farm-fresh eggs made this omelette even more special. The yolks were huge and nutrient dense inside the shells. This omelette maker can only handle four eggs. Overflowing with eggs, at about 3/4 done, we overlaid the jalepeño, sweet, and green peppers over the egg mixture. We ended up doctoring many of the vegetables inside the omelette. My Japanese Chef wanted to suture them into the egg. I gave up and just poured them on top. 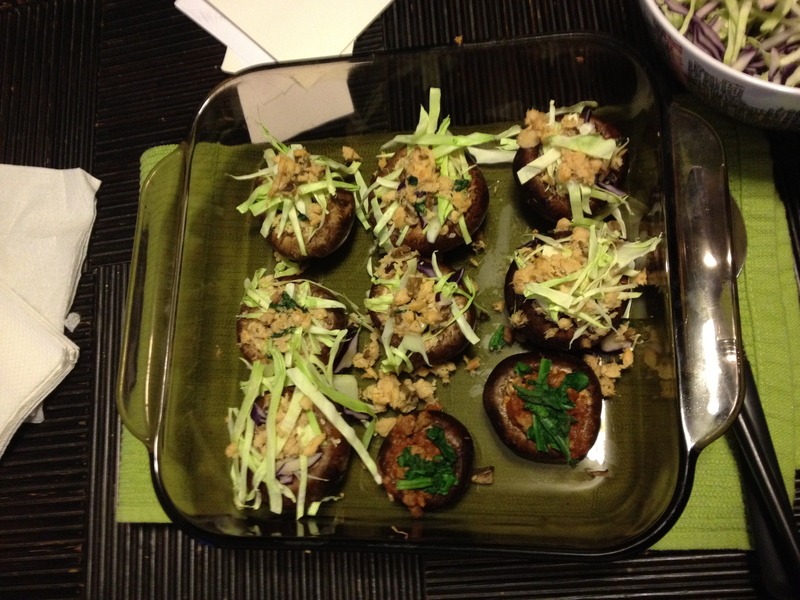 Underneath, we stuffed spinach leaves from the local farmer’s market and added some mushrooms–because why not? Despite this fault, it tasted deliciously nutritious regardless. We’re making it with our new spicy pepper–the habenero. But more of our love of it to come soon. The Mediterasian Omelette con Peppers is a fantastic go-to Healthy meal. Even though it is made in the microwave, the prep work can take quite a while (especially if you don’t have pre-sliced mushrooms, which–thankfully–we did.) At the start of term, I bought a plastic microwave omelette maker. It looks akin to the microwave egg poacher. Rarely has it been used as intended. Instead, I’ve been making meager fried egg wraps. One egg in this omelette container turns into a thin tortilla-esque shape. Not quite perfect for wrapping overlaid vegetables, but not quite a fried egg either. Though, that might be tried next. . . This past Saturday was my first–and most likely only–doing nothing day. Knowing me, it was by-far the most productive day I may have had this semester. My chef de Japan was gone for the weekend, and I wanted to surprise her. But not just with another Mediterasian recipe. I wanted to surprise her with a twist on her already experimented with and established staple of her cuisine: rice. Ambitious. Rice has been a staple for centuries most of the world, found in just about every form. Yet, my brain was stuck. I needed to impress her. Obviously, I was going to use a rice cooker. But fried rice? No, already done. Onigiri, no alread–wait. The pantry door opened in my head. What if I combined typical Italian seasonings into an onigiri? Too simple. That would just be rice–cling-wrapped to form a triangle–that would taste like Italian rice pilaf. No, I needed something with a little more kick. But I was on to something. . . . . Instead of just Italian spices, I could add in a Japanese seasoning instead, Furikake. It comes in a variety of flavors: salmon, wasabi, spicy, et al. However, traditional onigiri may be plain and served with sushinori (the seaweed that wraps sushi) for the flavor. So I could make Salmon Teriyaki Nori Wraps. That hadn’t been done before. Yet, I pushed the idea to the side. It wasn’t unique enough. Maybe I’d just surprise her with my onigiri making skills? Stick with our typical Spicy Onigiri? That wouldn’t work! The whole purpose of my cooking adventure was to have an adventure! My mind kept going back to onigiri. I would say they are a typical bento box favorite. Simple to make and easy to grab from the fridge as a lunch. So how could I make it even better? Opening the fridge, I examined our sauces. Sesame Seed, no….Our Pork Sauce…no…wait, why not? I picked up a bottle.The black liquid capped with red was easily distinguishable. Every Japanese–no, every Asian restaurant--carries this. It was perfect. And heck, if I make enough rice, why not just make all three? 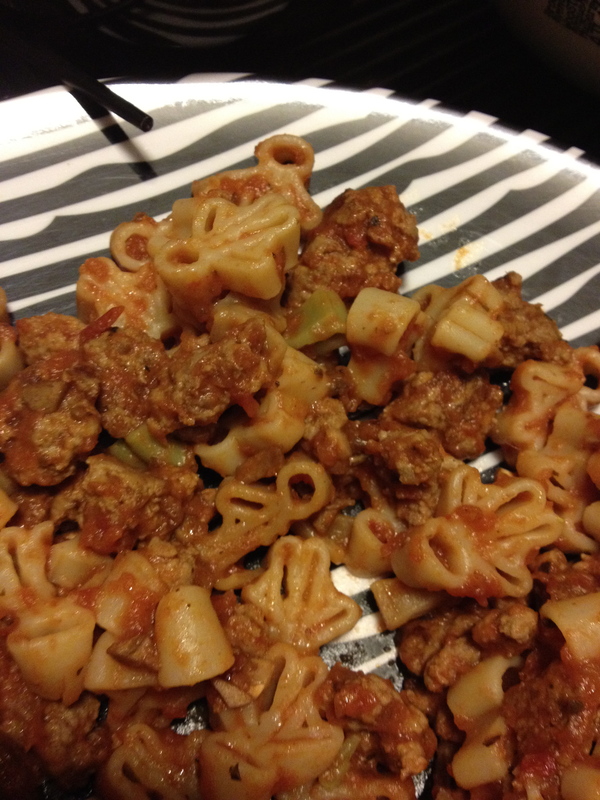 In the end, it went perfectly with the Italian seasonings. Who would have guessed?! By experimenting with a rice cooker and my favorite Japanese and Italian seasonings/sauces together, I created a savory, salty, and spicy alternative to the traditional onigirithat makes a great addition to any office lunch box. My favorite way to eat this dish is unwrapped and warmed in a microwave. Warmed the basil, red pepper sparks from the otherwise mild tang of the soy sauce. Refrigerated is just as good to get the initial flavor, but it won’t give you the same satisfying effect. Also, when it’s not sushi, I’m still not the biggest fan of cold rice. To be honest, the best way to cook rice is in a rice cooker. It provides the adequate amount of sticky and heat to form the onigiri and allow the seasonings to meld with the rice itself. However, if you do not have a rice cooker, pot-made rice should just as well. And making it in the pot gives you the freedom to just make rice–plain and simple. Therefore, this could also be called Rice de Mediterasia; however, Italiagiri is so much cuter. Strips of pork were cooked in a Wok with a slight dash of Extra Virgin Olive Oil to simmer them. As the Wok cooked the pork, the excess fat replaced the olive oil. Dashes of salt and pepper seasoned the meat before the basil was added. Basil is a tricky spice. When you think you have too much basil, you are just about at having enough. Lime juice must be periodically added to adequately seep into the meat. I might try marinating the meat in a lime, oil, basil mixture before being put in the Wok next time. But what can I say? We were very, very hungry. Our farmer’s market has wonderful fresh produce at wonderful prices! 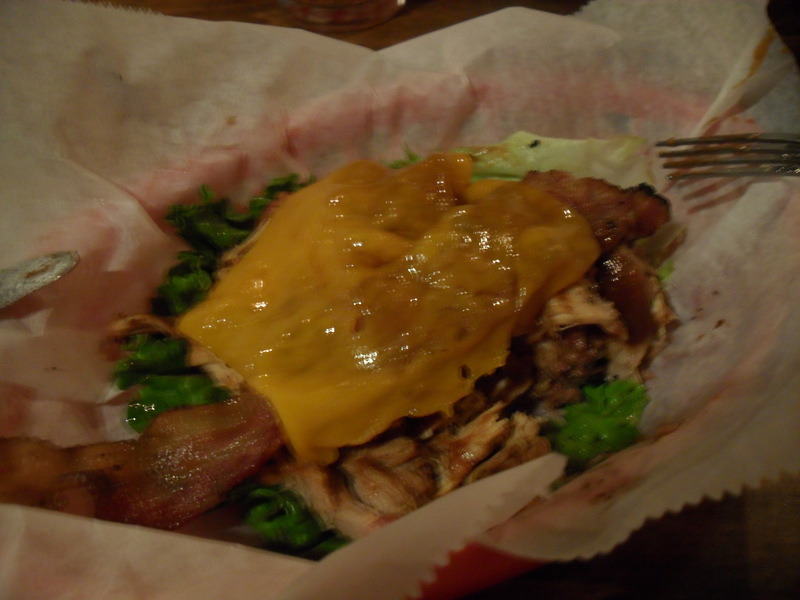 Our current love of the farmer’s market–besides the pancakes at Griddle Me This (http://www.facebook.com/Griddle.Me.This)–are Green Peppers. I can now taste the difference between Fresh Green Peppers and store-bought green peppers. The crispness of the green pepper is perfect with the stark lime/basil combination simmered into the pork. Adding the peppers last, some more pepper and salt might need to be added. We also added some parsley for a bit of a bite and, as a I mentioned before, we couldn’t keep our hands off the cayenne. The only change I think I’ll make is the lack of “asian” in our Mediterasian. I will probably add in a sort tilt of soy sauce OR even better, I’ll add some sort of sesame seeds in a sauce or by themselves to really give it that asian like texture as a dish. The ratio of one cuisine to the other is a hot topic in fusion cuisine culture. For me, whether or not the ratio is a perfecto 50/50 or reaches to a high 80/20, it isn’t as important as the finished product. Mediterasian’s first post reflects this concept. The Multipepper Lime Basil Pork is roughly 75/25–75 percent Italia influences and 25 Nihon. lo’ behold! my first successful Pancake Creation de Mardi Gras! 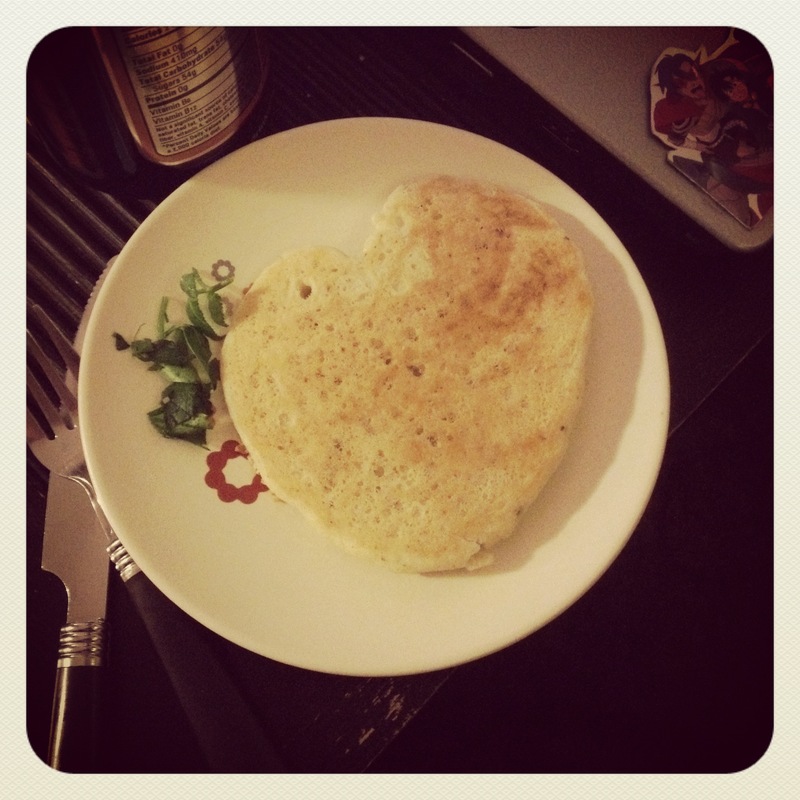 a lovely heart shaped lime pancake; the first successful one I have ever made on my own. Nothing tastes better than breakfast. Anytime of the day. So, when Foodimentary alerted me that Mardi Gras was synonymous with Pancake Day, I absolutely had to have pancakes. Originally, I was to rely on my friend’s pre-made, terribly unhealthy pancake mix out of a box. Thankfully (for both our sakes), she had a paper to write. Instead I crafted my own Pancake/Waffle mix recipe from scratch! Completely gluten, lactose, and butter free, the entire batter totaled 750 calories with about 7 pancakes total. At only about 110 calories per pancake, I would say this marvelous experiment was a complete and utter success! Not only can I make pancake batter from scratch, I can make it in less than 10 minutes. Whether or not this is good overall is yet to be seen. Immediacy to pancakes would ruin them. As such, I won’t be making them often. That and I just found out that I can make egg crepes. 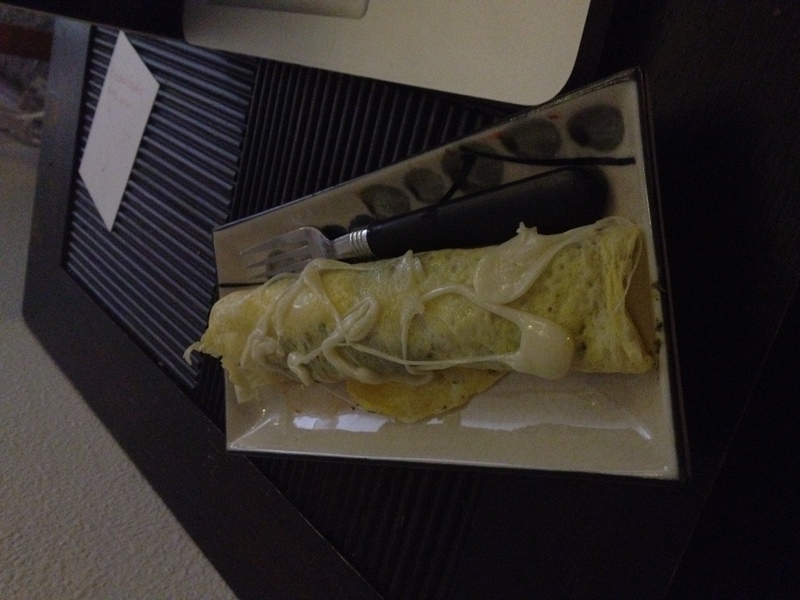 yes, that's a little egg crepe you see. it may look like an omelette, but it isn't. As in, I slightly beat an egg, spread it over the entire round surface of a pan like a crepe until it is very thin, and then flip it before it burns to create a solid disk of an egg. Egg crepes are now my new tortillas. Instant protein with all the versitility of a wrap. However, this post is about Mardi Gras festivities in the form of pancakes. Savory and sweet! our pancakes had a lemon and lime and parsley. Not traditionally seen in American pancakes. They weren’t sweet; they were sweetened. Pancakes can get weighted down by their sugary texture. Using almond and soy milk along with brown rice flour lent a nutty foundation for our pancake batter that could be expanded in either direction. Ideal! No Calorie Xylitol Sweetener helped immensely in cutting the sugar calories to 0, without effecting taste. I even added a tad bit of flaxseed for that wonderful Omega-3 boost! 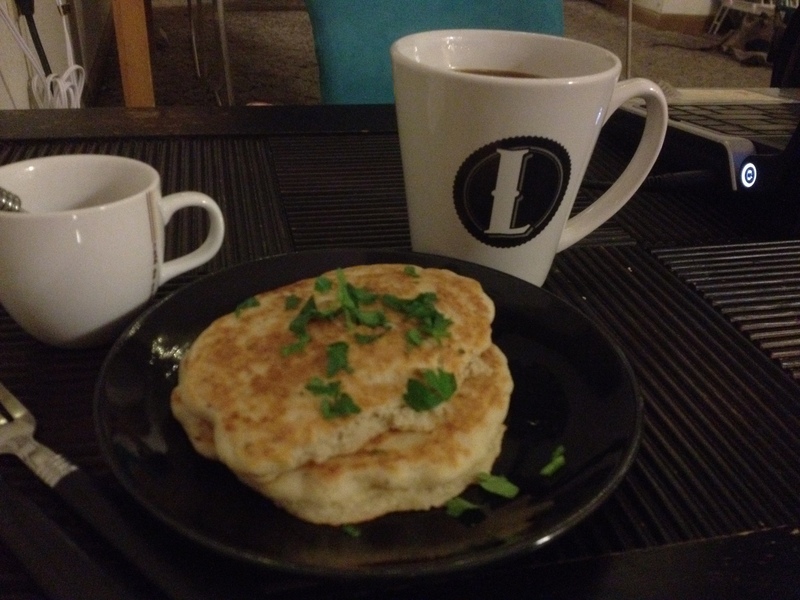 my lemon-parsley pancakes, not as beautiful as the first, but no less tasty. If I may say so, these pancakes were delicious, nutritious, and stupendous! 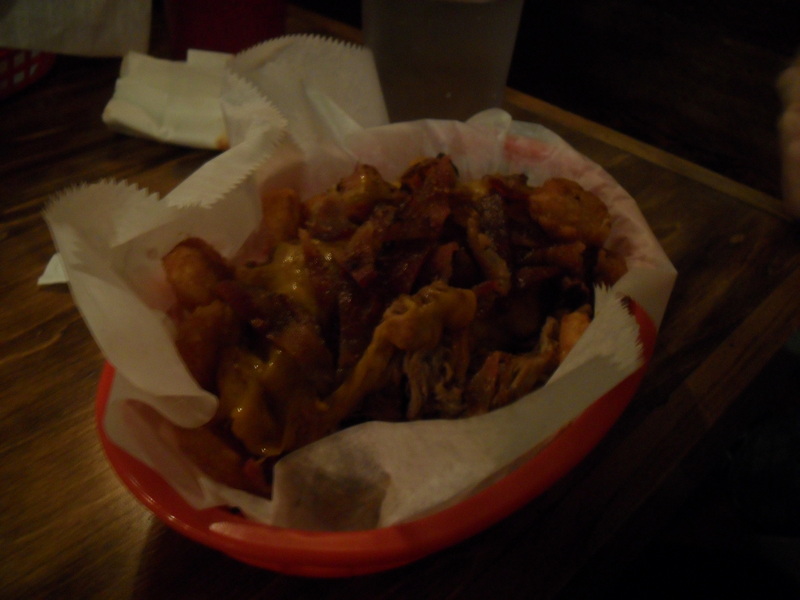 Although Fat Tuesday felt like a Fat Tuesday, it wasn’t as calorie intensive as it could have been. In the end, isn’t that what this whole lent thing is about? why is it “The Best Thing Since Sliced Bread”? and what makes it so great? All emphatics aside (as I chew my heated up grape nuts) where did this phrase originate from? Ironically enough, an Iowa-born resident invented the bread cutter in the mid 1920’s. His invention spread from Iowa and into the other big areas of the midWestern baking companies. Soon, the invention of the toaster made it imperative to have sliced bread. A combination of all these inventions led to one particular company we all know and love (ick): wonder bread. Touting the “best thing since sliced bread” Wonder Bread wanted to penetrate the American households. As the first ones to market sliced bread, they wanted to connect with consumers. They needed to make us think that this bread was just as good as our local bakeries down the street. Decades later, I am still left wondering. Wondering why it took this long for us to realize that prepackaged bread is one of the unhealthiest things we can put into our bodies. Wondering how this product began to be seen as so Wonderful? I am gladdened at least that much of Wonder Bread and it’s subsidiaries aren’t pulling in enough revenue . It finally is being shown that we don’t want to eat fluffed powder sugar baked into bread shape. We want actual bread people. We want something that actually tastes like bread. As for me, I’ll stick with my grape nuts until I can fully trust my bread makers or get enough of an inclination of making my own.